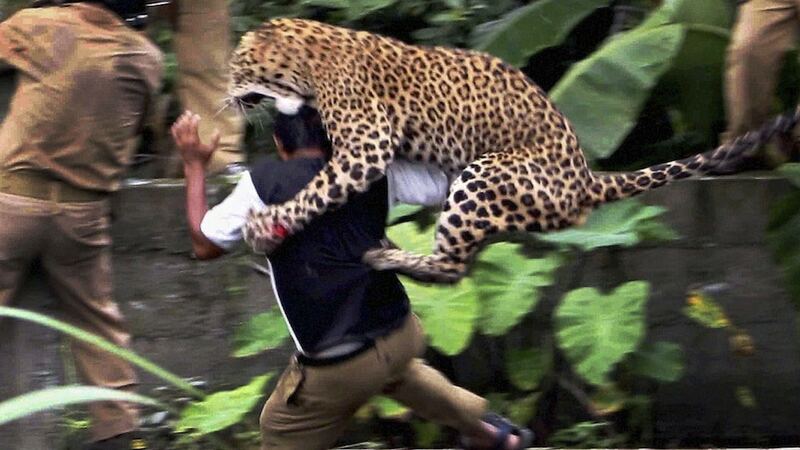 Beware of the man eating leopard(s) attacks in Nepal. Home Scandal and Gossip Beware of the man eating leopard(s) attacks in Nepal. Leopard Attack that took place in India in 2011. The avalanche of things to be weary of doesn’t seem to let up, from Hurricane Sandy, African painted dogsand now a man eating leopard that is causing havoc in Nepal. According to locals the leopard has to date devoured 15 people, including 10 children in the Baitadi district of Nepal. All grim news if you were planning a trip to Nepal or if you already happen to be there now wondering how to plan your day accordingly. So far the following questions are being asked, is this the work of one singular leopard on the loose, are there more of them on the prowl (as possibly suspected) and most importantly why are the Nepalese leopards now eating people? Maheshwor Dhakal, an ecologist at the Department of National Parks and Wildlife Conservation in Kathmandu, has a gruesome theory. He goes on to say that it is unusual to find more than one or two man-eating animals in one area. Most leopards live on wild prey. Then again define extreme and normal? Authorities are offering a reward of 25,000 rupees, or $280 – roughly three months average wages for a Nepalese villager – for the capture of the animal, dead or alive.